Home > Dining and Gourmet > Fast Food > [Popeyes Louisiana Kitchen Singapore] Some of the suggestions last week made us hungry for your own food hack! [Popeyes Louisiana Kitchen Singapore] Some of the suggestions last week made us hungry for your own food hack! Some of the suggestions last week made us hungry for your own food hack! So we decided to throw in a BONUS round!!! 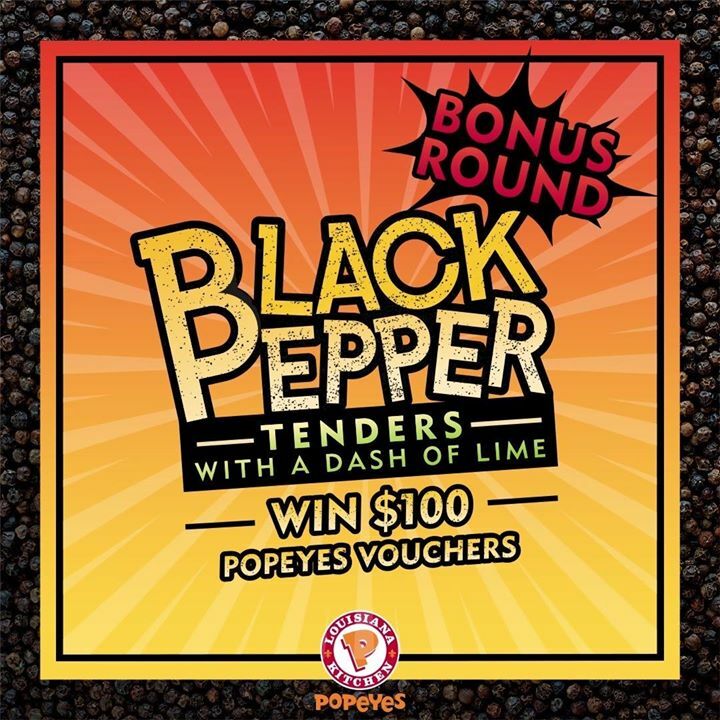 Create your very own hack using any Popeyes item combined with the Black Pepper Tenders, and share a photo of it in the comments section below. The 2 best photos stand to win $100 worth of vouchers each! Try our Black Pepper Tenders Biscuit Sandwich or the Black Pepper Tenders Garlic Rice for inspiration! Or even better, create your own hack. Previous: [Play United] Fifa 18 ( coming in this Thursday or Friday ) free delivery islandwide and 10 percent off Last Pre order now $72. Next: [The Body Shop Singapore] Get your Matcha fix with our NEW Japanese Matcha Tea Mask!